Are you looking for a NAS and do not know which one to choose? Do not worry! We have done the work for you! What happens today is that we all have many videos, photos, movies, and files and our smartphones and computers are quickly filled up. This makes our computers go slower and we are forced to make copies on external hard drives. In the end, everything ends up being a mess because when we do not have the discs at hand, we can not access our information. All this problem is solved with a NAS (Network-attached storage). This external memory device allows you to store information in it and recover it whenever you want only with an Internet connection. In addition, you can access it from all kinds of devices and you can configure it so that others can also access it. For example, you can give access to your wife, your children or people in your office. If you decide that a NAS is a good purchase, the first thing you have to know is what are you going to use it for. For example, you do not need a high-performance NAS if your idea is to share Office files or back up your laptops. On the other hand, if you will need a good NAS if you want to watch HD videos simultaneously on several computers and your smart TV. In such a case your NAS should have a good processor, high memory and offer high data transmission speed. So following are the important factors to look for when buying a NAS. The basic idea you should consider while choosing a NAS is whether you will need more modules because the high-end equipment allows adding more hard drives (usually between two and eight) and the basic equipment usually comes with a single hard drive. • You only need 1 or 2TB if you want is to make backups of a couple of computers and your family’s mobiles. • You need a minimum of 6TB if you’re a movie buff and you like to have your movie collection always available. • You need between 10 and 20TB if you want the equipment for a small office or a small workgroup. The most basic equipment costs around 185 USD and the most expensive equipment is worth thousands of dollars. The difference lies in the processors, data transmission speeds, RAM, the number of slots to place hard drives and the amount and capacity of hard drives that come included. You should be careful when comparing because several computers are sold without including the hard drives and offer space to place only one. These models are worth less than 130 USD. On the other hand, the office equipment has several slots, they allow you to include hard disks with a lot of capacity and offer high performance. But these will easily rise above 1300 USD (also this price does not include hard drives). With discs or without discs? You have the option to buy a model that includes pre-installed discs or buy it without discs and choose the ones you want to use. 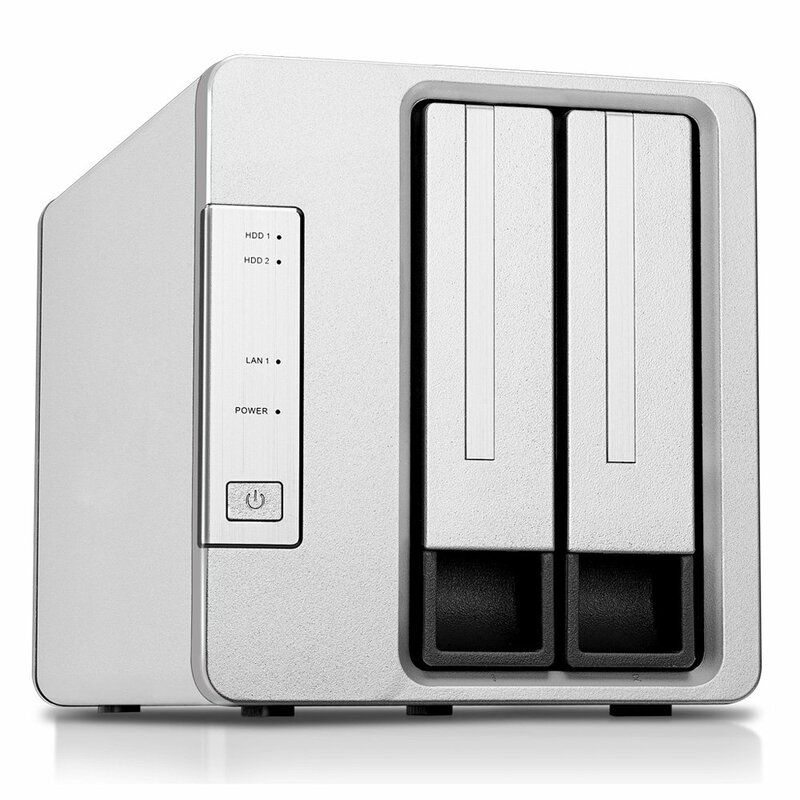 For users who do not want to complicate life, the most practical thing is to buy a NAS with pre-installed discs. In this way, incompatibilities and configuration problems are avoided. The disadvantage of this option is that the equipment is more expensive and that you lose possibilities to adjust the benefits to your needs. Something very important to consider is security because models with more than one slot offer methods to save copies on more than one disk and this reduces the risk of information loss. The most normal thing is that the equipment does not have WiFi to transmit and receive information thanks to its direct connection to the router via ethernet cable. If you want to have good performance, we recommend that you do not use the free router offered by the telephone company and that you have a quality router. Check out our list of best wireless routers to know more. Like a PC, a NAS also has CPU, RAM and operating system (usually Linux or Unix). 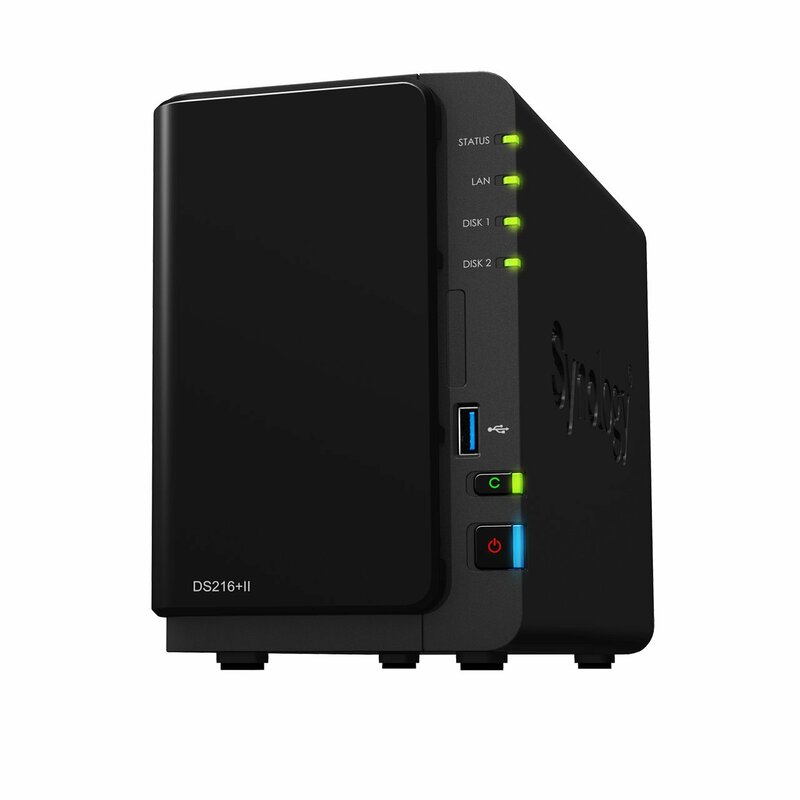 A NAS with 512MB of RAM and a Dual-Core processor begins to be appropriate for domestic use and a NAS with at least 2GB of RAM and a Quad-Core processor is a minimum necessity for small offices. If you want to watch 4K movies on several devices at the same time or perform complex tasks, we recommend that you choose good processors and high memory. But surely the equipment hangs up or will give you some kind of problems. All NAS come with some operating system. What happens is that your system is much more limited than the typical Windows or Mac that you are used to seeing. The operating system of a basic NAS only allows to save files and transfer them, and create users and give them the access to it. If you buy a high-end NAS the possibilities skyrocket. The configuration is usually easy. Many computers come with installation CD and others come with instructions that help in the setup through the web portal. The software allows users to create and manage file permissions. For example, you can let your children only access the children’s movie folder. 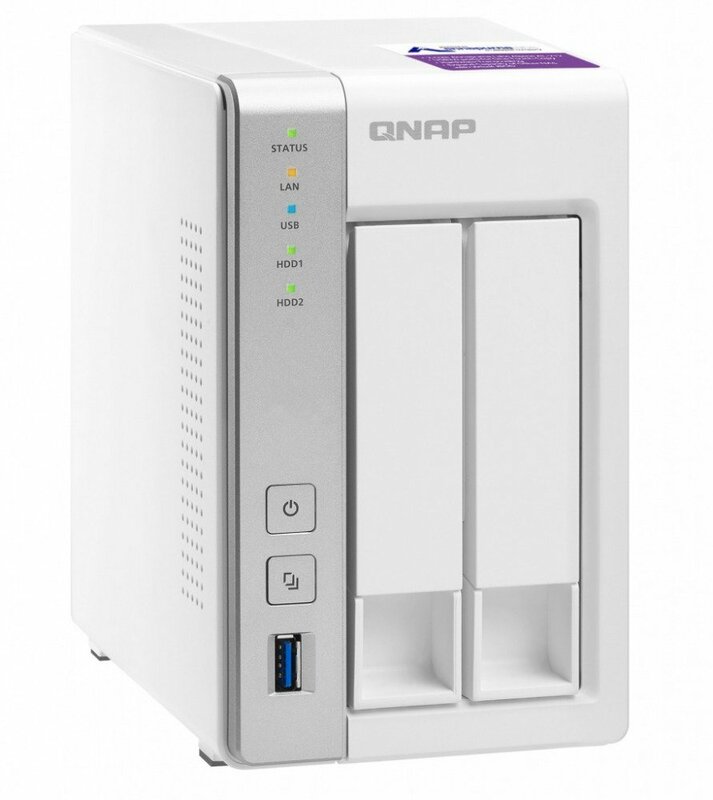 The manufacturers of the equipment offer web portals that allow you to connect to your NAS remotely having only an internet connection. This is very convenient because it allows you to access your folders from anywhere using your mobile, tablet or computer. The good thing about this option is that your files are always on your NAS and not on a remote cloud server that belongs to another person or company. This way you always know that you have total control of your files. At the same time, you do not have to pay any monthly fee either because the NAS is yours and the manufacturers of NAS equipment offer the cloud portals for free. There are several models that allow you to work with third-party Apps such as Transmission (Bit Torrent client) and PLEX (a media server). This allows you to configure your NAS to download and save movies and play them automatically on your smart TV. There are also computers that are compatible with Android and iTunes. Many of the NAS in the market allow encrypting files and creating extra security barriers. You can limit access to folders and easily manage group permissions. Now we go to perform a detailed analysis of each selected model. It is important to keep in mind that there are many models and that it is complicated to select a favorite one. The main idea is that the buyer’s choice fits their needs. Our ten choices comprise a wide variety of features and range from very simple NAS to complex models that support multiple hard drives. This model has just hit the market and offers incredible value for money. It is still not very well known but in our opinion, it will be the new best seller of coming years. It stands out for its 1.7 GHz dual-core processor, its 1GB RAM, its three USB 3.0 ports and its two LAN ports. Its hardware is more than enough for domestic and small office uses and allows multitasking operations with excellent performance. Its reading speed is 224 MB / s and its writing speed is 176MB / s (much higher than its competitors). During our tests the performance of the device was unbeatable. 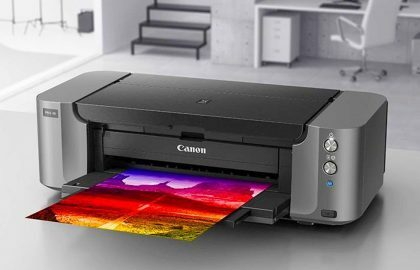 It stood out for its capacity of streaming and its performance when we attach a USB Wi-Fi. We were able to watch movies in 4k simultaneously on three computers while doing file writing tasks. Another thing that we really like is the Hybrid Backup Sync that allows the connection with external cloud services (Amazon Glacier, Azure Storage, Google Cloud Storage, Google Drive, Microsoft OneDrive and Dropbox®) to guarantee the recovery in case of disasters. Multipurpose model with a performance without competition. It is our favorite for domestic use or small office. On this occasion, we have decided to propose for the first time a model that also includes discs. For this model, we recommend the configuration of 8TB because it is very versatile and will be enough to give it a domestic use. The disks chosen are WD Red for NAS and are designed to operate in environments that operate 24 hours a day, 7 days a week. The Cloud EX2 Ultra has a 1.3GHz Dual-Core processor and 1GB of RAM. The equipment is ideal for homes or small offices and has a correct performance until we begin to demand it. For example, it works well to transmit movies in 4k with a device, but when we start asking you to broadcast on more devices the problems arise. The same happens if we open several applications simultaneously that require memory. 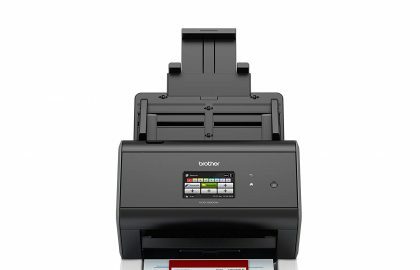 Its configuration is intuitive like all other equipment in the list and its functions are standard. It should be noted that it offers a specific video surveillance software that has a very fast setup. ◦ Different programs for backups and remote copies in Amazon S3 or ElephantDrive. A good compromise between performance and price. Correct for homes and small offices which are not very demanding. 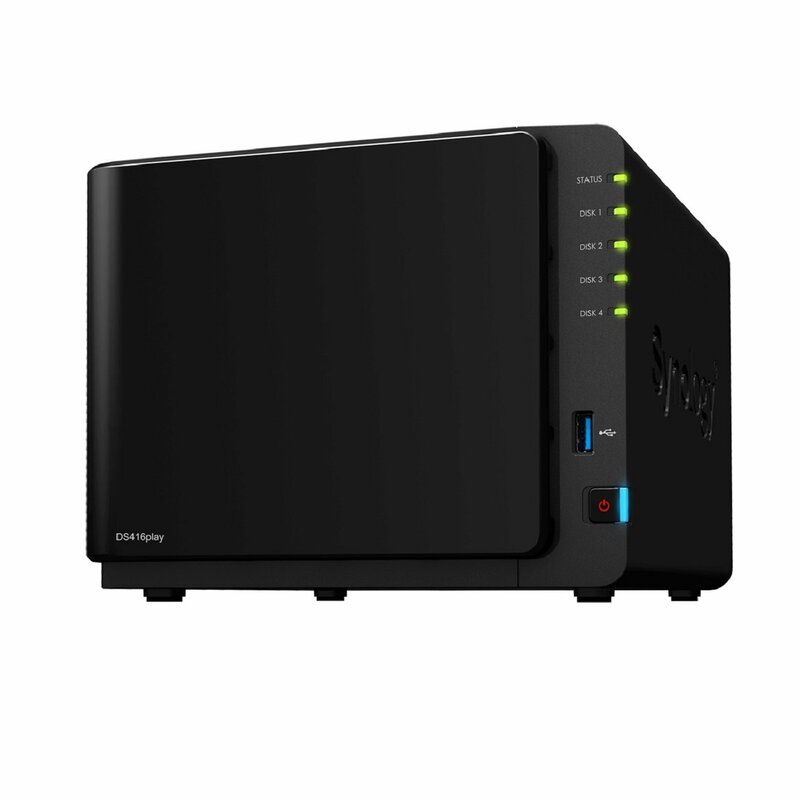 This NAS is the most basic of the list and we have decided to include it for its stability and price. It is not a suitable model for applications that require a good processor and memory but serves to perform basic functions. The DS115j comes with a 0.8 GHz processor and 256MB RAM. The computer works well to back up 3 to 5 devices and is a good solution for saving files. Its deficiencies begin to be seen when it is used for multimedia, for example, the processor gives problems if you want to watch movies at high resolution. Something we like about it is that it can be adapted very easily as a home surveillance center. All that is needed is to buy IP cameras because this NAS already comes with a package for surveillance and two licenses of free IP cameras. We have tested the surveillance function and it allows you to control your home from your mobile and save the recordings automatically.Its configuration is fast as in all Synology and it has the DSM operating system and the packet center. ◦ Choice of surveillance center. Basic NAS at a good price for those who do not need to watch movies in high resolution. 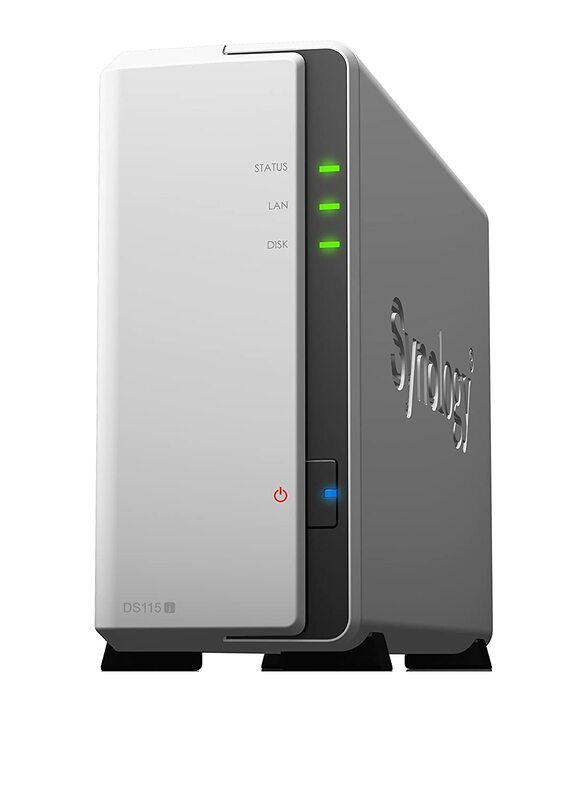 This Synology NAS is one of the most versatile models on the list and has very good reviews. It has a Dual-Core processor from Marvell and a RAM of 512MB. The equipment comes without hard drives and only incorporates a 120GB HDD internal hard drive. The maximum memory capacity that can be placed on this model is 20TB (10 TB x 2 hard drive). 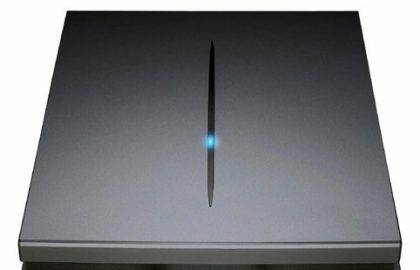 The DS216J is ideal for home environments as long as we do not request 4k movie playback simultaneously on multiple computers. 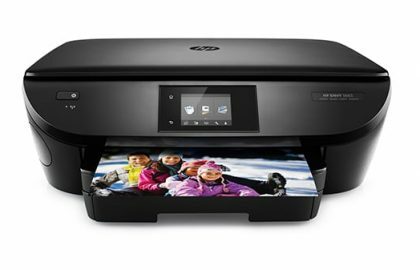 After testing, we can say that its ideal use is for a standard family that wants to save files and makes copies of their phones and PCs. 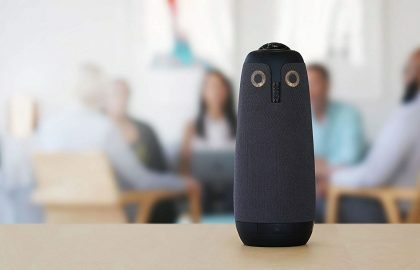 One of the best models of the market for domestic users. Configuration and intuitive operation. The only thing that fails is the slow server when we need very demanding tasks. 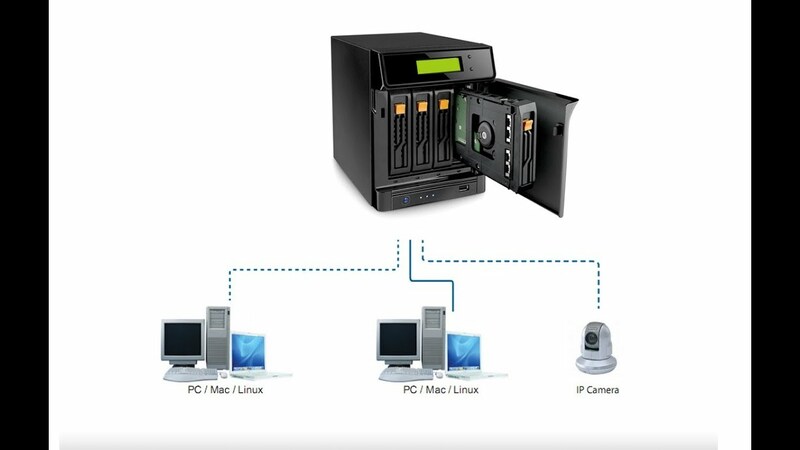 Terramaster is a manufacturer of NAS equipment that has a long experience and offers robust and reliable equipment at super competitive prices. The F2-220 features a dual-core Intel Celeron processor at 2.41 GHz CPU and a 2GB RAM. Its speed of reading and writing is 100 MB / s and it admits a capacity of up to 12TB distributed in two discs that are fastened with screws. And like all Terramaster models, the equipment comes with many accessories and even includes a screwdriver. Its operating system is mounted on Linux and is stable and intuitive. Performing scheduled backups has no mystery and sharing files either. There is also the possibility of making backup copies in Dropbox to avoid permanent losses in case of equipment failure. The best thing about Terramaster is the customer service by email that responds quickly and makes your life easier. 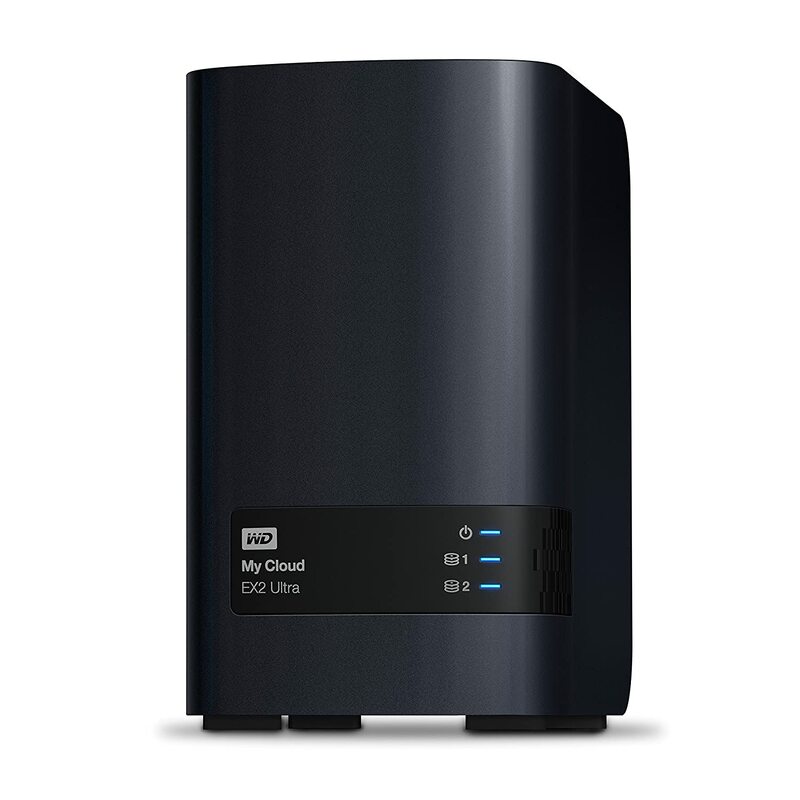 NAS with very good features at a super competitive price. The weak point is the operating system. This model is efficient within the small office or home environment that requires high benefits. 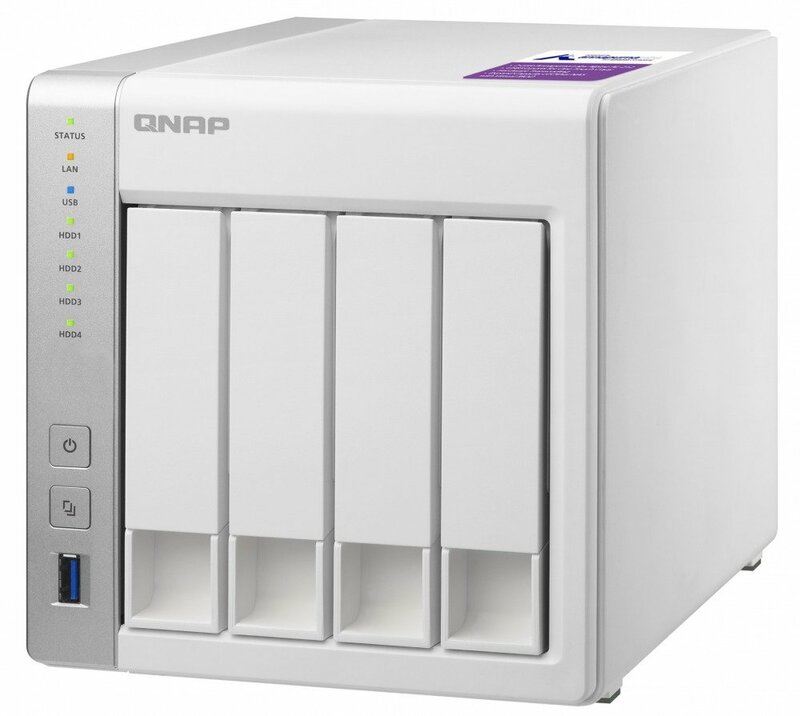 This model is identical in hardware and software to the QNAP231-P (number 5 in the list) and only changes by the number of slots. After performing several tests we have been able to verify that it is highly effective and stands out without a doubt among its competitors. This model is much higher than the previous one but it costs almost 185 USD more. It stands out because it has an Intel Celeron N3060 processor (1.6 GHz, turbo frequency 2.48 GHz, 2 MB L2 Cache) and has a 1 GB of DDR3 RAM. The quality of its components makes it possible to transcode quality videos (H.264 and 4K to 1080p). The hard disk capacity can be chosen at the time of purchase and ranges from 2 to 16TB. The operation of the equipment is intuitive and the transfer speeds are high (113.01 MB / s of reading and 111.66 MB / s of writing). 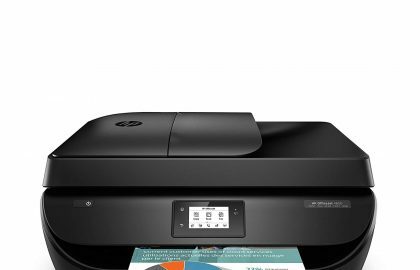 The device offers data encryption and the DSM operating system that allows you to work via the online portal very easily and download packages that make work in the office more comfortable. Another point that we like is that it includes a USB 3.0 port. 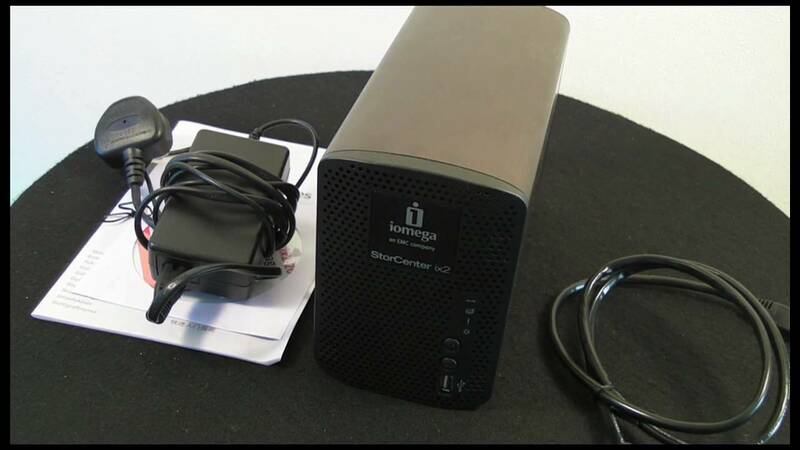 This allows you to connect external storage devices and QuickConnect technology. Ideal equipment for demanding users who want to watch a video in high quality and enjoy good performance. It is also ideal for small offices that want to save their data safely and have good performance thanks to their business pack. 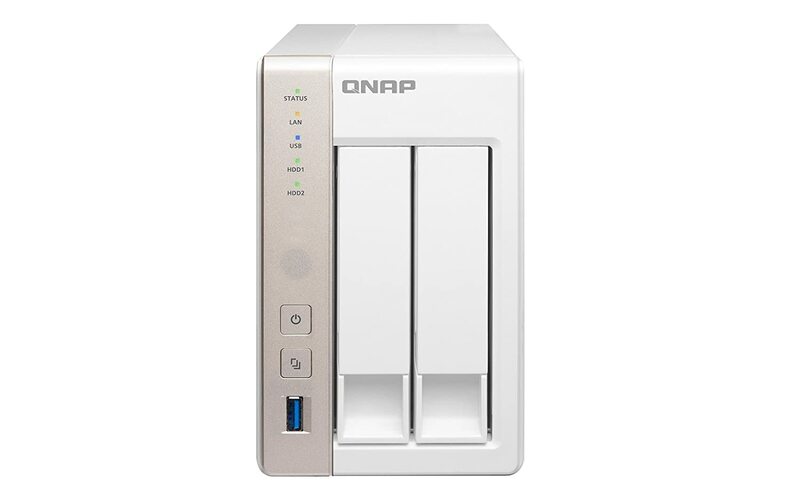 The latest QNAP is a high-end model that we have fallen in love with. It stands out for its Intel Celeron 2.0 GHz processor and its 8GB of RAM and has 4 slots and allows control by remote control. Its performance has been the best of all, even surpassing more expensive models from other brands. To put it to the test, we have done all kinds of operations and we have never detected performance reductions. For example, we have encrypted files and checked the speeds of reading and writing, we have made simultaneous streaming of up to 5 devices and we have made several intensive operations. An absolute wonder for who can afford it. 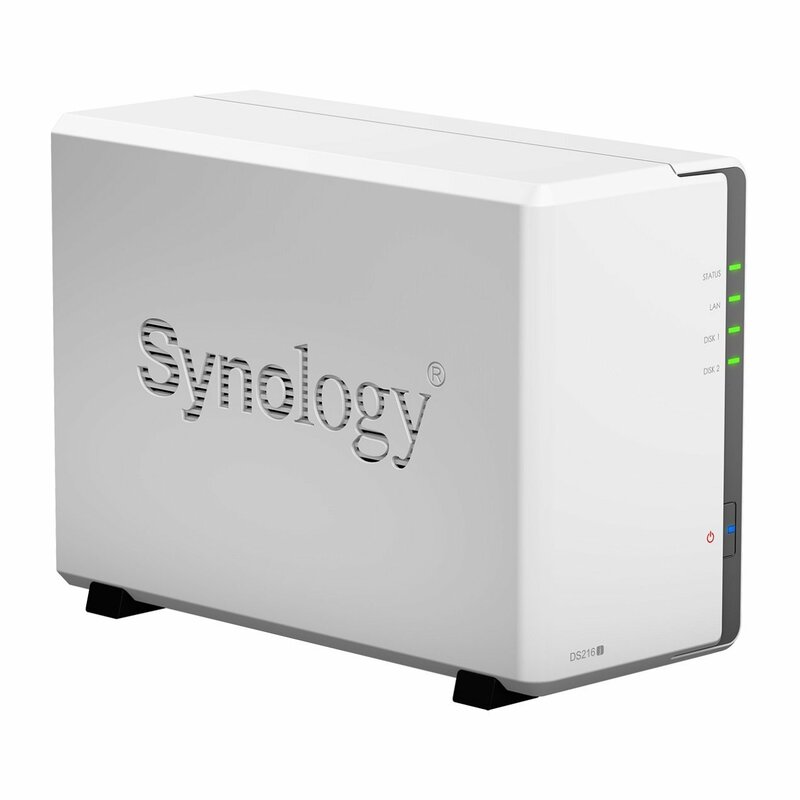 The penultimate of the list is the Synology DS416 Play. This NAS comes with an Intel Celeron N3060 1.6 GHz processor (turbo frequency 2.48 GHz + 2 MB L2 Cache) and 1GB of RAM. Its performance is good and its read and write speeds are 225 MB / s and 186 MB / s.
This model has passed our tests with remarkable results and has proven to be sufficient for high resolution streaming. We liked the encryption mode and the fast availability of encrypted files. In terms of hardware, we want to highlight how easy it is to change the disks and that the system has an alternative cooling method in case the fans fail. This reduces the possibility of critical failures with total loss of information. A classic within the high-end NAS. We like it but we consider it expensive. 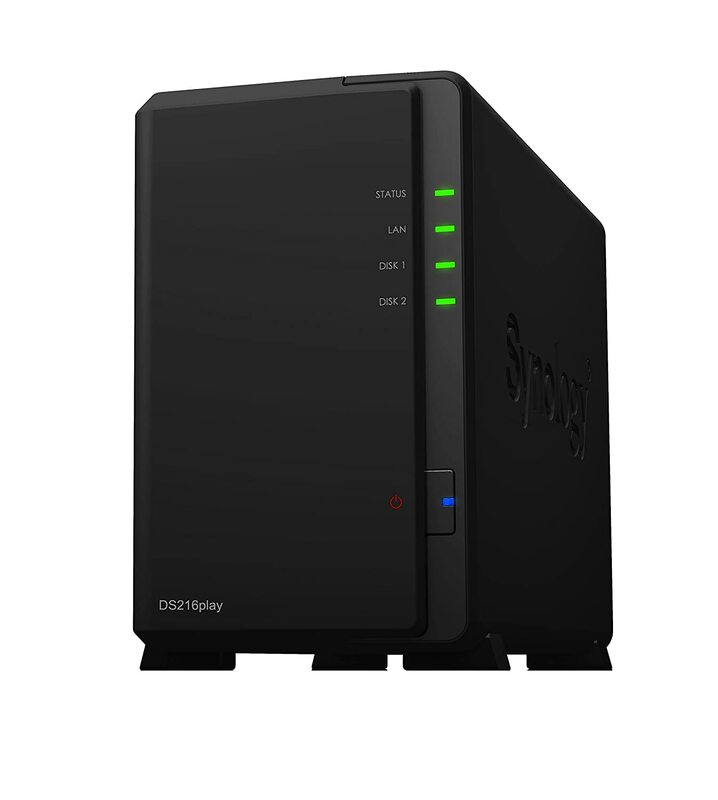 The big difference between both models (DS216+ II) is that the DS216play does not incorporate the encryption extras, it does not have antivirus AppArmor, it does not offer private cloud without connection and its operating system has fewer extras for the office. The DS216play works with a 1.5 GHz processor and 1 GB of RAM and allows read speeds of 107 MB / s and write speeds of 91 MB / s. As in the case of the second in the list, this equipment incorporates USB 3.0 (allows connecting external storage devices and QuickConnect technology) and high-definition video transcoding technology. Very good equipment for lovers of multimedia world and movies in high definition. For an office, we consider that option number two of the list is more appropriate. This is the new version of TS-231 that we talked about earlier. 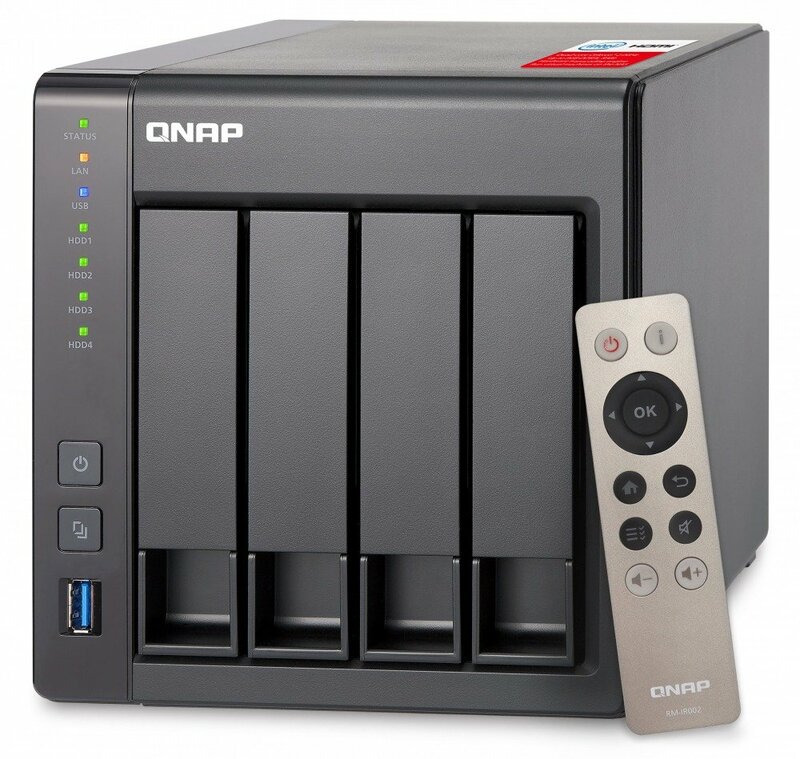 The truth is that QNAP does not stop innovating and the new model has left us very happy. Input, the new model comes with remote control and includes SD slot. Its processor improves a lot and the performance is incomparable. However, the price shoots to more than 738 USD. • It lacks a bit to reach the benefits of equipment that are above 1230 USD. Its features and ease of use make it one of the best proposals on the list. 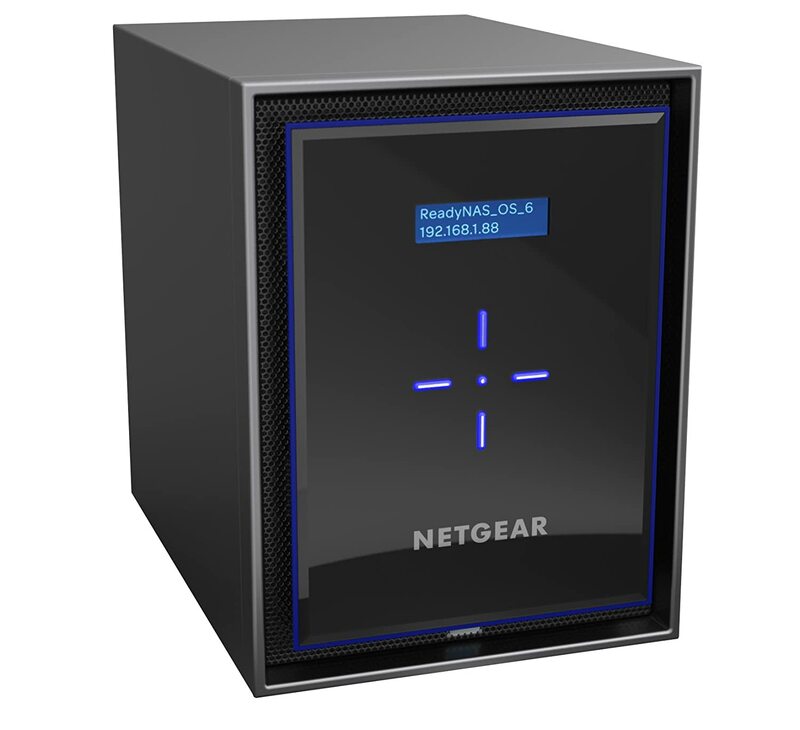 Netgear’s ReadyNAS series is the new high-end NASs range from approximately 1476 USD to 7378 USD and stand out for their performance. The tests we have done have left us pleasantly surprised. We really liked the different data protection options (X-RAID, unlimited snapshots, Bit Rot protection and real-time antivirus) and also the speed of its processor (Intel C-3000 high-performance dual-core Atom – DDR4 memory) of 2GB). The installation of the discs has been very easy and does not require any extra part of your hands and a minimum of skill.